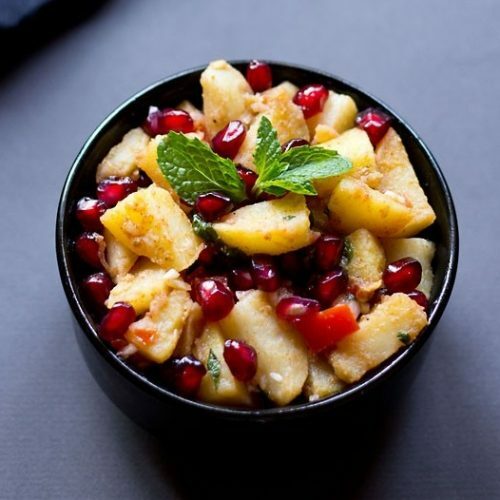 aloo anardana salad recipe is a tart, sweet & tangy potato pomegranate salad. 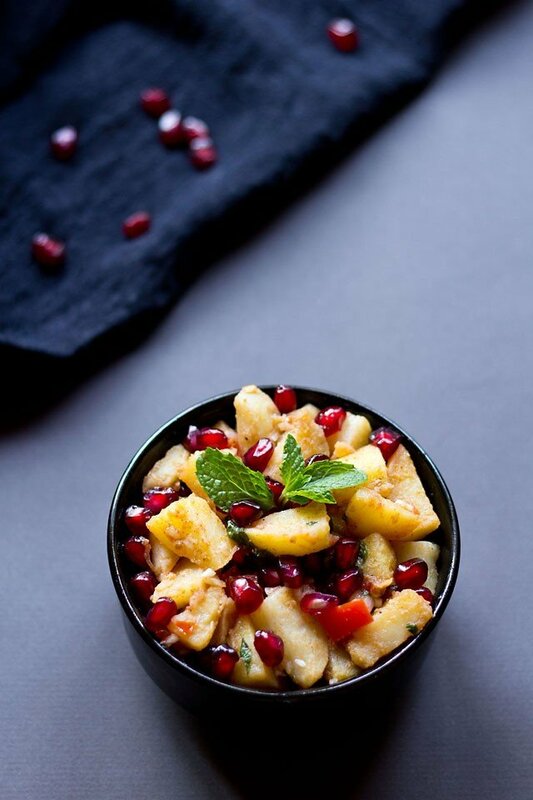 potato pomegranate salad recipe – from the time i had seen this aloo anardana salad recipe in jigg kalra’s cookbook “prashad – cooking with indian masters” i wanted to try it. finally gave a try and this has become a most loved and wanted potato salad at home. this salad is basically made from two ingredients: aloo – potatoes and anardana – pomegranate… spiced with tangy indian spices. the original recipe has some chana dal (bengal gram) also added, but i skipped adding these lentils. 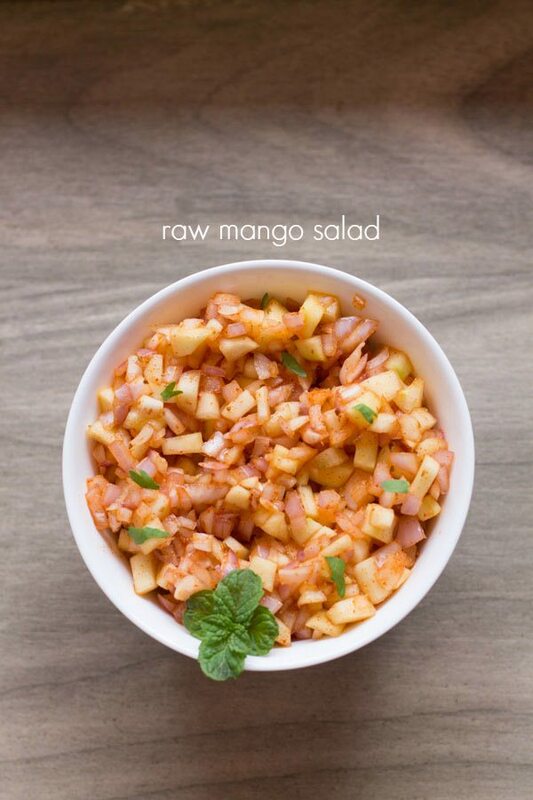 this salad is tart in taste due to lemon juice. and also has a sweet taste due to the pomegranate arils. 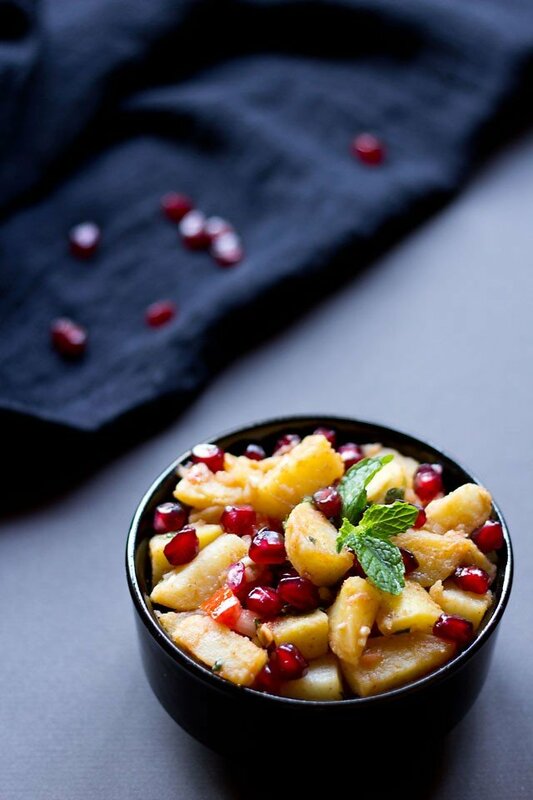 if you love potatoes and pomegranate, then do give this potato pomegranate salad or chaat a try. 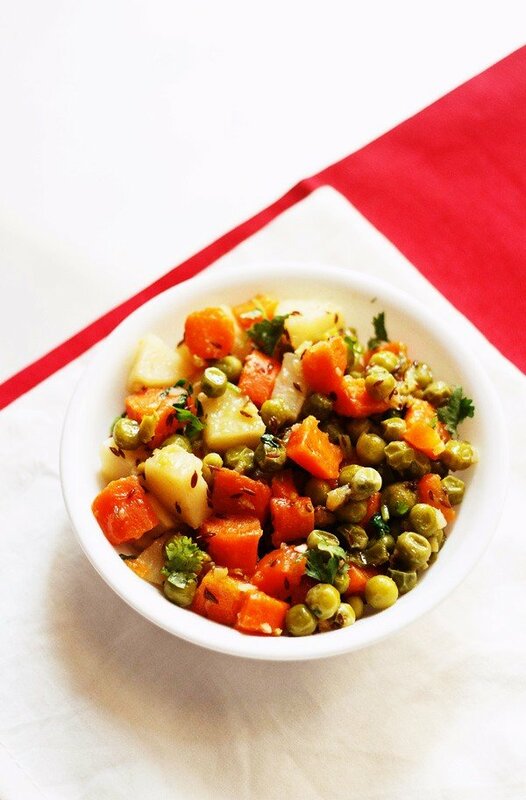 you can also serve it as a side dish with dal rice or veg pulao or veg biryani or roti-sabzi combo. 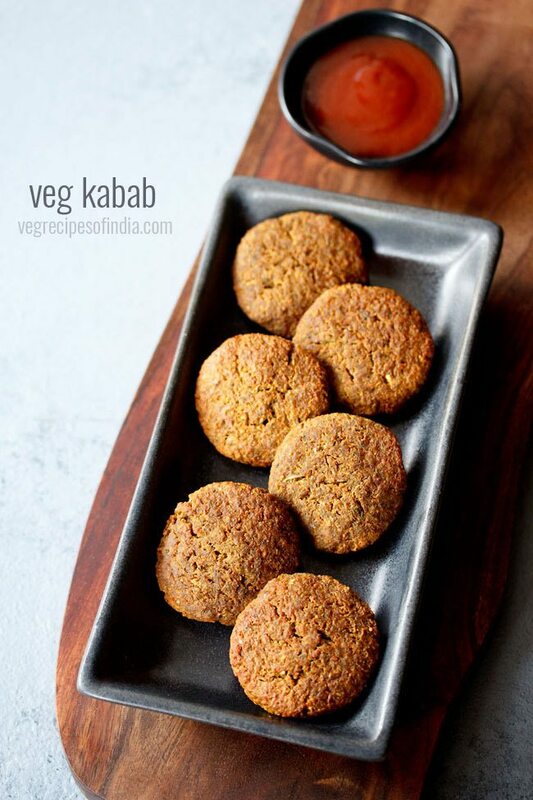 you just need basic veggies like onion & tomatoes along with some indian spice powders like chaat masala and cumin powder. 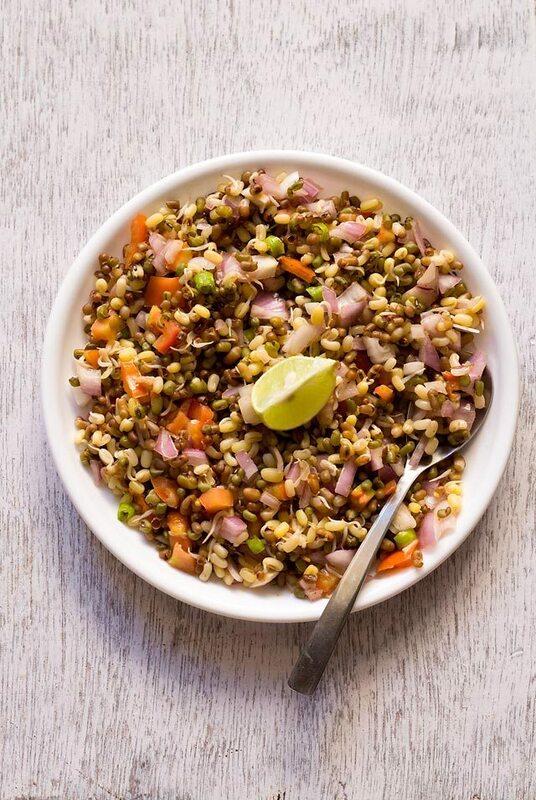 this salad can be served warm or cold. they make excellent starters as well. in a bowl add the diced potatoes, onion, tomatoes, pomegranate arils, chopped mint leaves and mix gently. mix all the ingredients for dressing. check the the seasoning and add more of the spice powders if required. mix all the spice powders with the lemon juice and oil. pour the dressing in the bowl and mix gently. 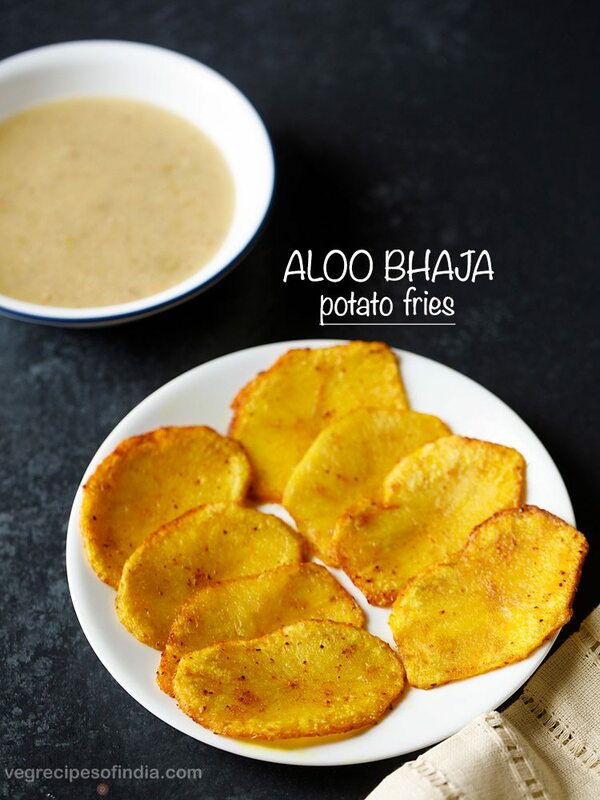 serve the aloo anardana salad warm or chilled. garnish with mint leaves while serving the aloo anardana salad. as a variation, you can parboil the potatoes first and then pan fry or shallow fry till crisp. Do you have a recipe for chaat masala, please? I’d love to try this. Thanks. i have not yet added chaat masala recipe. will add in some time. Aloo Anardhana salad looks very colourful and very pretty! This looks delicious! I love the photo! Beautiful colours. Beautiful way to incorporate pomegranates into what we eat! I actually tasted it dassana!! 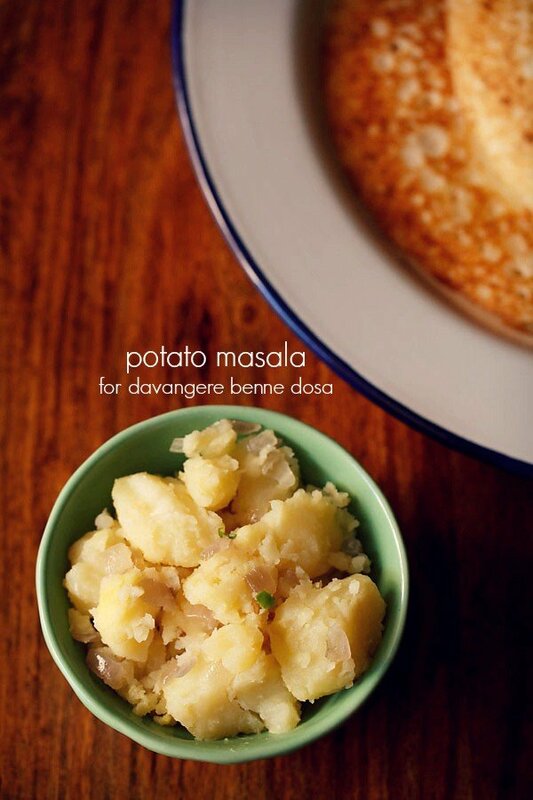 those spicy potatoes and da pomegranate ….. beech- beech me… ekdum mast! !